There are a lot of things that I love about makeup but for the most part if I don't find it THAT necessary (keyword:that) or if I could justify already having it in my arsenal, then I can find the urge to resist buying it. 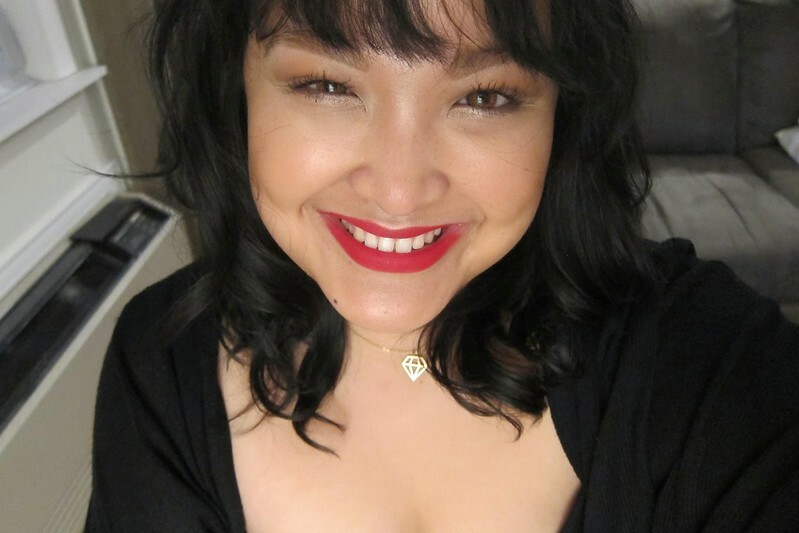 Red lipstick, on the other hand, is something I always battle with and no matter how many times someone tells me "another red lipstick again? They all look alike!" I kindly tell them "NO, they DO NOT." 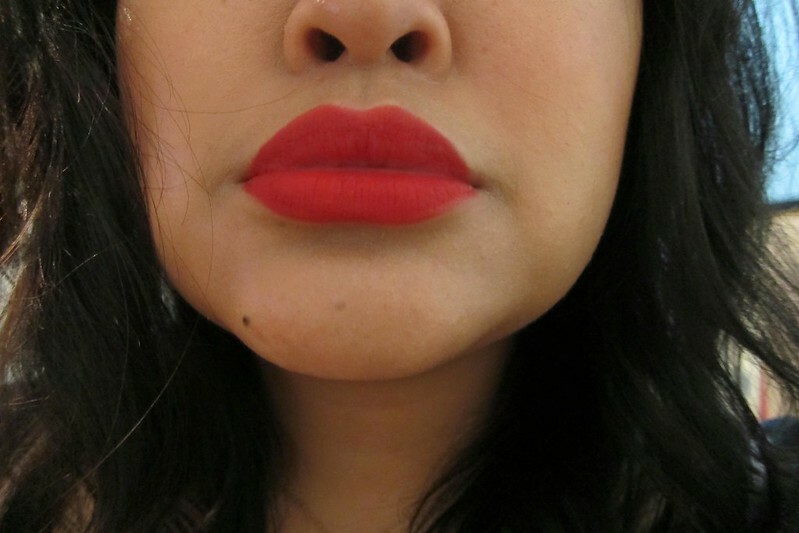 because obvs, red lipstick is never the same as another red lipstick, amirite? 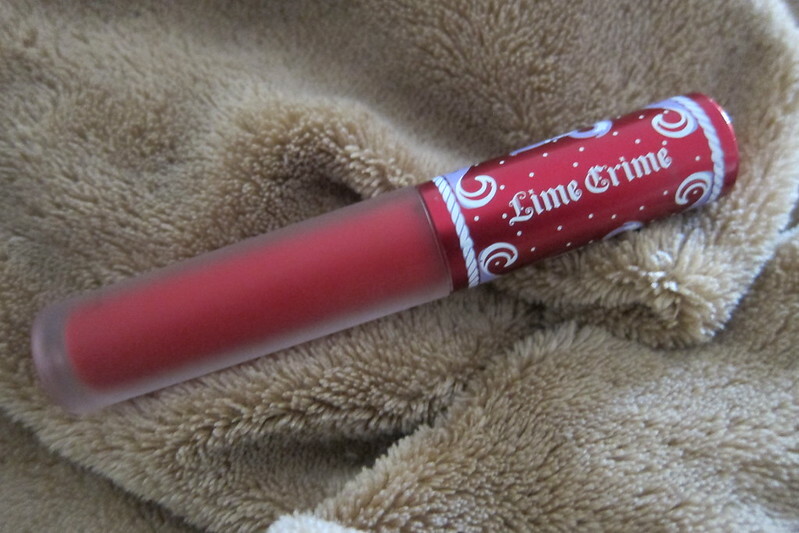 Anyway, this is my first foray into anything Lime Crime, and so far this is the only product that's caught my attention. It's supposed to be touted as very long lasting, matte, non budging, eat whatever the hell you want and it won't come off type of liquid lipstick. It starts off like lip gloss upon first application but dries within seconds. It has a doe foot applicator - nothing special, relative to many doe foot applicators that you find in lipgloss. Let me tell you: THIS THING DOES NOT BUDGE. I used it last night when I went to the LA County Fair and it withstood eating: french fries, blooming onions, chicago dog, potato chips, and a hot fudge sundae. (I knowwwwww, I ate so much!) To be perfectly honest though after hour 2 it became drying so remember if you suffer from dry/chapped lips, it would be good to exfoliate and/or put lip balm before hand. By the time I got home, it was such a b*tch to take off and it took me about 2-3 cotton balls and makeup remover to completely take this thing off... I guess that's a good sign right? This liquid lipstick can be found and bought on their website (google: Lime Crime Cosmetics) However, I bought this baby on Amazon for $18.00. 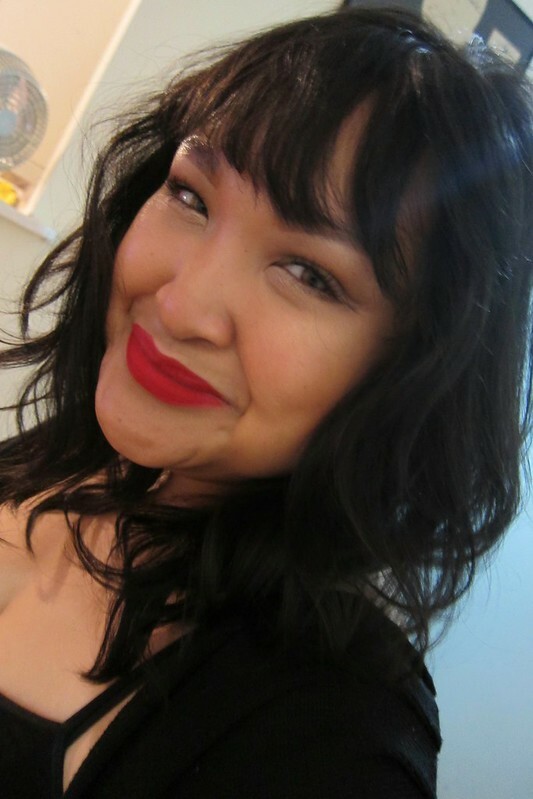 So far this thing is such a workhorse, and I thoroughly do not regret getting "another red lipstick." in regards to long lasting and comfortability, this liquid lipstick trumps any of the lipsticks I have within the same category. 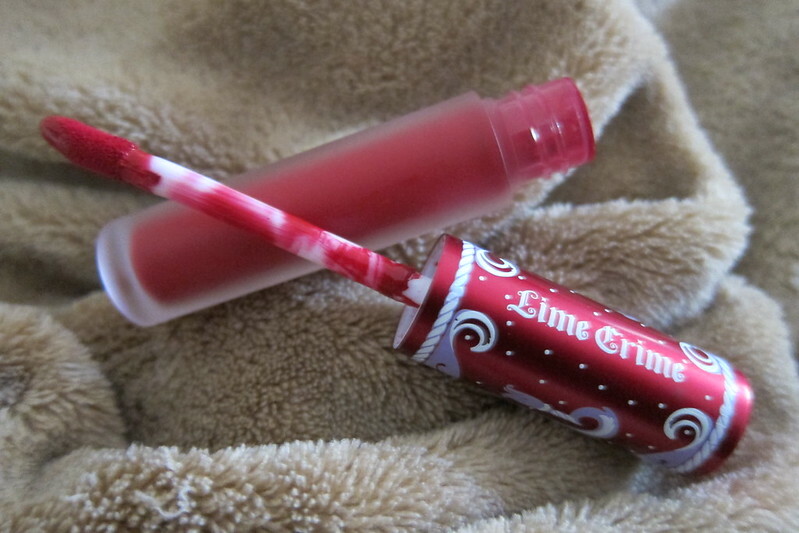 I have being dying to try this lime crime product out but can never bring myself to buy it. I must say it looks really pretty on you. Love how opaque the shade is. Joanna M: It is very opaque! I believe there are two colors for this particular product, but this is the only one that screamed at me. Let me know how you like it if you eventually get it! It would look really good on you!